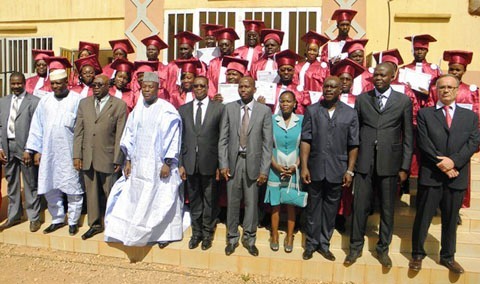 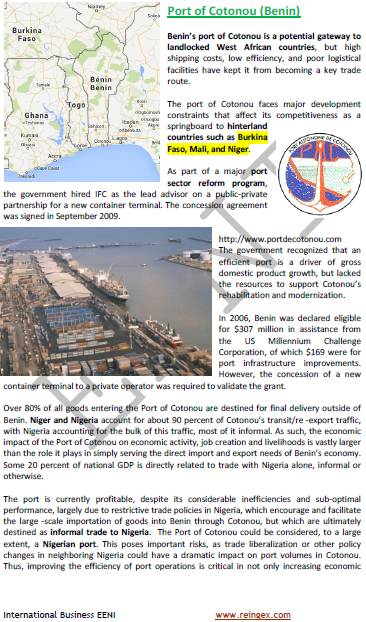 Syllabus of the Online Course (Subject): West African Economic Area. 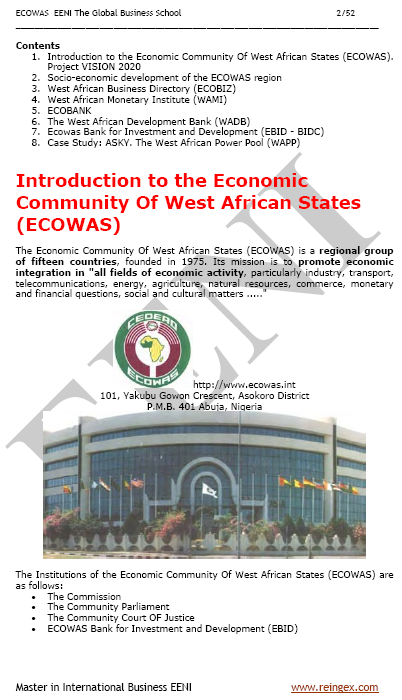 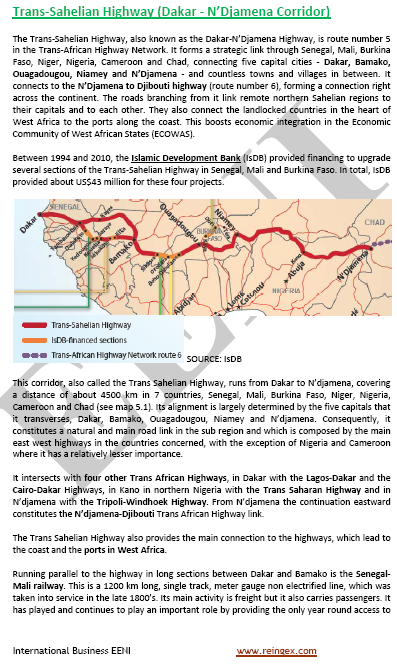 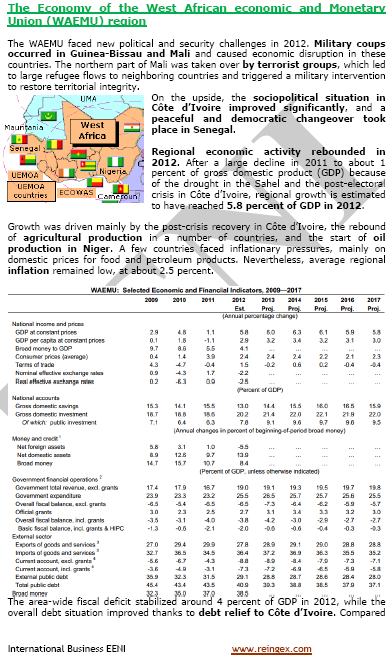 The West African Economic Area consists of fifteen countries: Benin, Burkina Faso, Cape Verde, Ivory Coast, Gambia, Ghana, Guinea Conakry, Guinea-Bissau, Liberia, Mali, Niger, Nigeria, Senegal, Sierra Leone, and Togo. 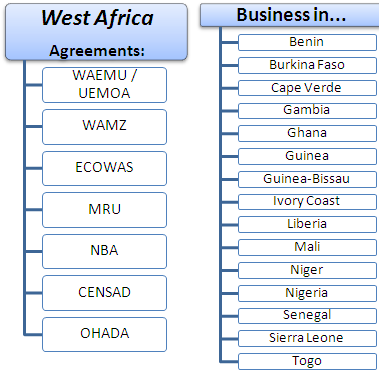 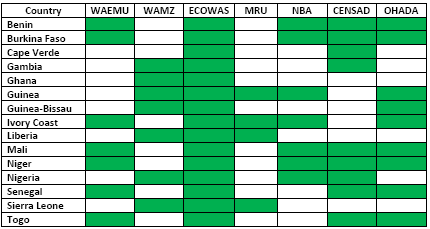 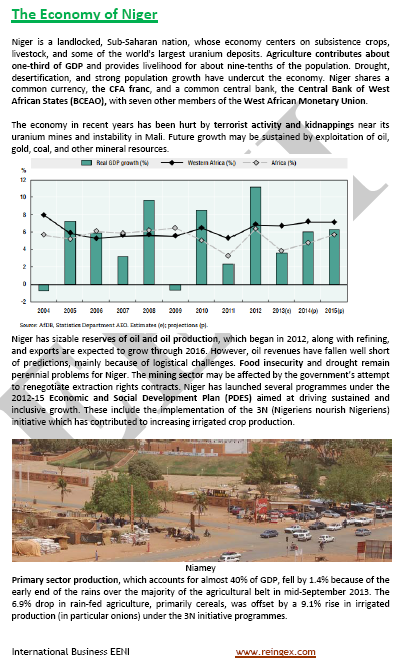 Other trade agreements and economic institutions in West Africa. 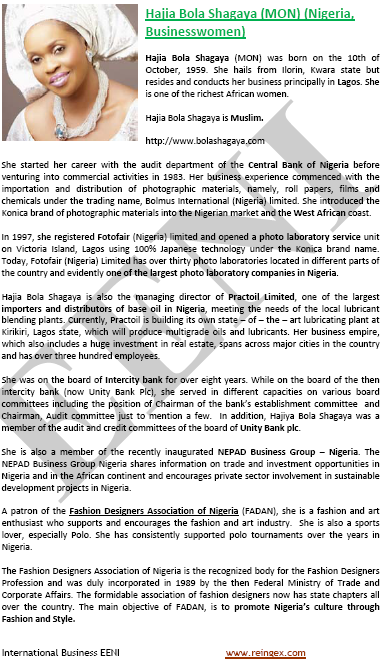 Nigerian Businesswomen: Hajia Bola Shagaya, Folorunsho Alakija, Adenike Ogunlesi, Folake Folarin-Coker, Dra. 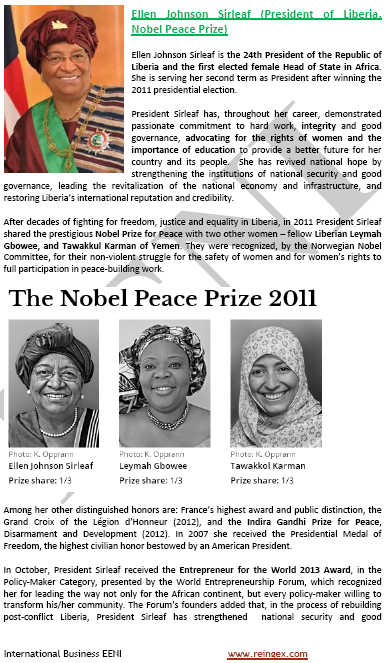 Amina Odidi, and Tara Fela-Durotoye. 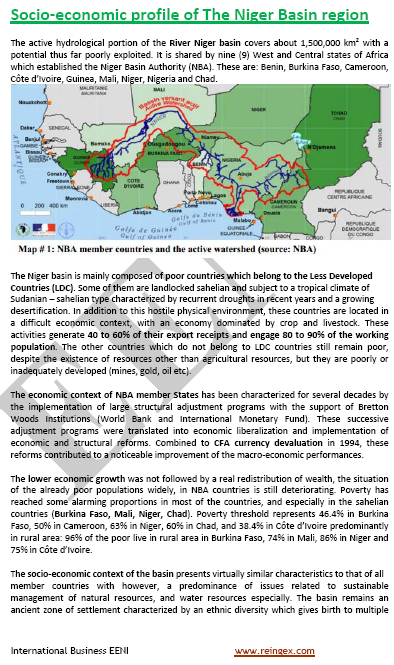 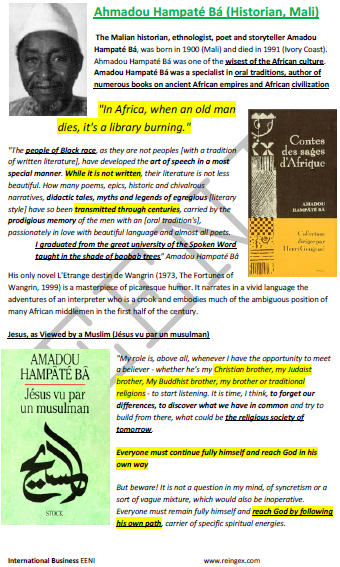 Personalities of West Africa: Sheikh Anta Diop, Ahmadou Hampaté Bá, Boubou Hama, Wole Soyinka, Leopold Sédar Senghor, Christophe Wondji, Joseph Ki-Zerbo, Djibril Tamsir Niane, Albert Adu Boahen Kwadwo, Ellen Johnson-Sirleaf, and Akin Mabogunje. 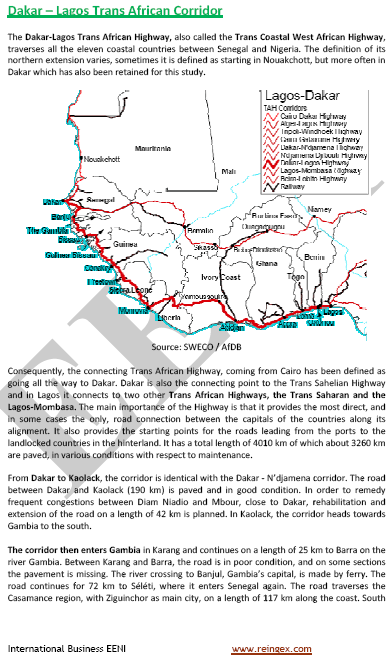 Cape Verde, Benin, Burkina Faso, Ivory Coast, Gabon, the Gambia, Ghana, Guinea, Guinea-Bissau, Liberia, Mali, Niger, Nigeria, Senegal, Sierra Leone, and Togo are part of the Africa-European Union Strategic Partnership of the European Union (EU). 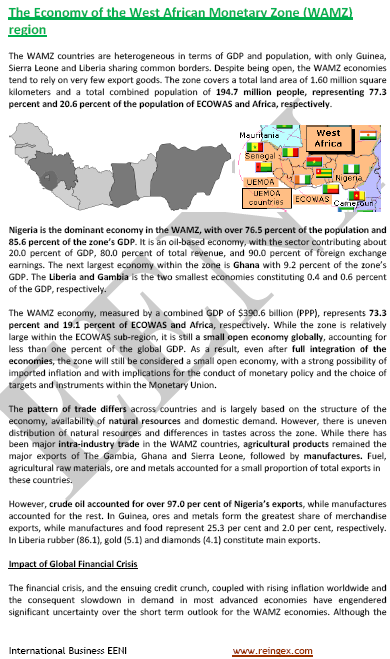 The European Union has a Free Trade Agreement with Ivory Coast and with Ghana. 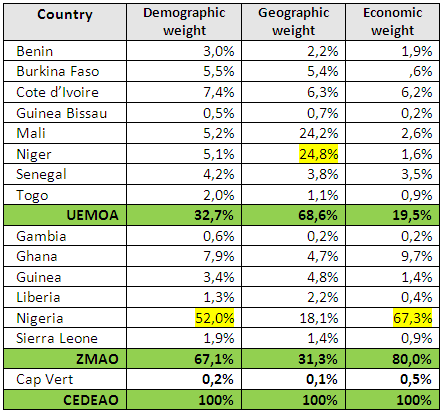 The EU-West African Countries Economic Partnership Agreement (in negotiation) (ECOWAS and UEMOA). 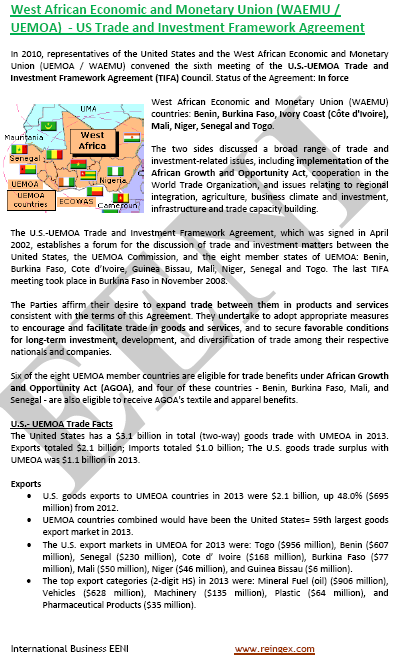 All the countries in West Africa are beneficiaries of the African Growth and Opportunity Act (AGOA) of the United States. 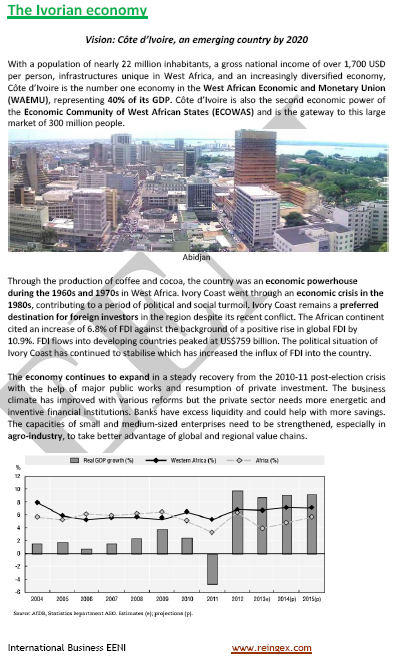 All West African Countries are members of the African Development Bank, New Partnership for Africa's Development (NEPAD), African Union (UA), and Economic Commission for Africa (CEA).